The 3rd ICDDA event was held in Ankara on 11-14th October 2016 with the participation of more than 200 companies from 33 countries. 5,400 registered bilateral meetings were realized throughout the 3-day event. In addition to many international companies such as Airbus Defense & Space, Airbus Group, Airbus Helicopter, Boeing Company, Dassault Systems, Leonardo Group, Lockheed Martin, MBDA, Navantia, Rolls Royce, Sikorsky, Thales, and our main industrial companies such as Aselsan, Havelsan FNNS, Istanbul Shipyard, MKEK, Otokar, Roketsan, Turkish Aerospace, TEI, Turkish Technic, many industrialists also participated in ICDDA 2016 activity as well. The ICDDA organization was also awarded with the 2014 Defense Industry Special Award by the Presidency of Defence Industries (SSB) and the 2017 Special Award of the Defense Industry Promotion through the purchasers participating in the event from abroad and realized effective B2B meetings. In this context, below we have compiled how the B2B meetings conducted by national and international companies during this event transformed into a transaction, from their expressions. Emphasizing that Airbus has been in close cooperation with the Turkish Defense Industry companies for 20 years, Airbus - Director International Cooperation Thierry ADER said, “Especially we have business cooperation with big companies such as TAI, Turkish Airlines and TEI. We aim to further improve our secondary supply chain network in Turkey in the coming period. In this context, we have already started the supplier development program. Currently, we are working with the OSTIM Defence and Aviation Cluster members namely Epsilon Composite, Yepsan and Küçük Pazarlı Aviation. We are conducting various studies in order to increase the current capacities and capabilities of our suppliers. Our main goal is to support these companies to become reliable suppliers in the market. Thus, the supplier companies feel stronger in international markets”. 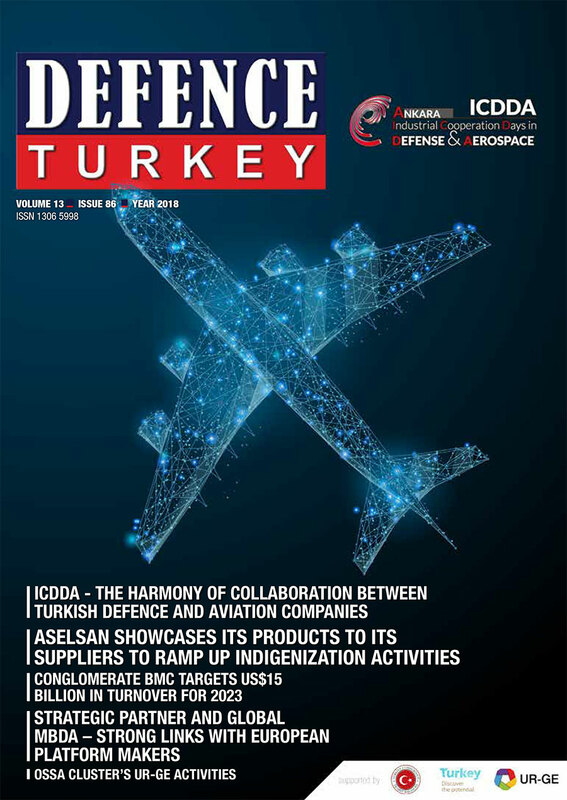 Underlining that the fourth ICDDA event in October is an important event for Airbus to see the potential of Turkey in the field of the defence industry, ADER added, “We are honored to give support to the ICDDA event as Airbus. The companies such as Airbus, Boeing Safran and Thales will participate in the event. The ICDDA event brings together SMEs and large companies and Turkey holds great potential for these companies”. Expressing her opinion also on the ICDDA event, PRIOUR said, “As far as I can see from the OSSA presentation, 20 companies from France attended the ICDDA event in 2016. We, as Business France, are planning to participate in the ICDDA 2018 event as Business France this year. I believe that ICDDA is an important event for the French companies to see the potential in Turkey. I think especially the workshops, conference programs as well as the company visits are efficient. We will have high participation also for this year as French companies”. The Industrial Cooperation Days in Defense and Aerospace (ICDDA) held in 2016 was a very useful event. From the outset, we have been participating in such events as a company and have conducted positive meetings. We have had the opportunity to introduce our experience in this sector to the big platform manufacturers, and then made beneficial collaborations. We prepared and delivered the offers requested to the relevant companies on many issues. Some visits were made to our company by ICDDA participating companies. At present, ME-GE Teknik is running a project in Malaysia. We have seen that ICDDA has a strengthening and positive impact on this project. We had interviews with major companies in the aerospace industry and we had the opportunity to introduce our capabilities. We consider that the sustainability of this event, which will be held for the fourth time this year, is quite important. In the world, you know these types of events are organized during certain periods, and our main customers, the platform producers and supply chain managers incorporate these activities into their annual programs and participate in such events as planned. 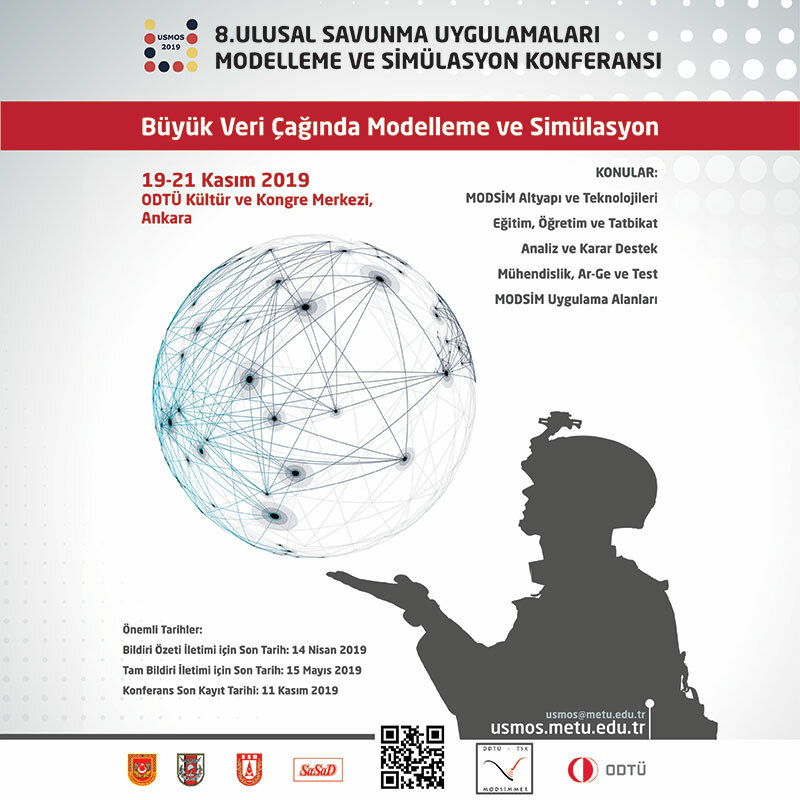 Our company will again participate in the Industrial Cooperation Days in Defense and Aerospace (ICDDA) to be held in Ankara under the auspices of the OSSA. We had agreements and negotiations with a South Korean main contractor firm and a group from defence and civil aviation from France and Germany. Thanks to the ICDDA event, we had the chance to meet international companies and transformed these negotiations into business potential. We are confident that we will be able to conduct fruitful B2B negotiations at the ICDDA 2018 event which will be held for the fourth time this year. We have been participating in ICDDA since the beginning in 2013. This year we are preparing to participate in the fourth one. Through this event, we have strengthened our contacts overseas. We had the opportunity to introduce our company to foreign companies and show our capabilities on site. We have had the opportunity to get in contact with the purchasing managers and purchasers of companies such as Boeing, Airbus and Rolls-Royce. It is not so easy to accomplish this at big fairs and we cannot see this interest and attention in international participation. Therefore, ICDDA has given us a great advantage in reaching the right person. I can say that the ICDDA event is the window to the world for our company. We have signed contracts with major companies such as DIEHL Aviation and Zodiac Aerospace. We would like to thank once again those who contributed to this event. We first were introduced to the ICDDA organization in 2013. We have come to 2018 and we see that this organization has become more mature. ICDDA today has reached a level that many large and small companies from Turkey and abroad would like to attend. 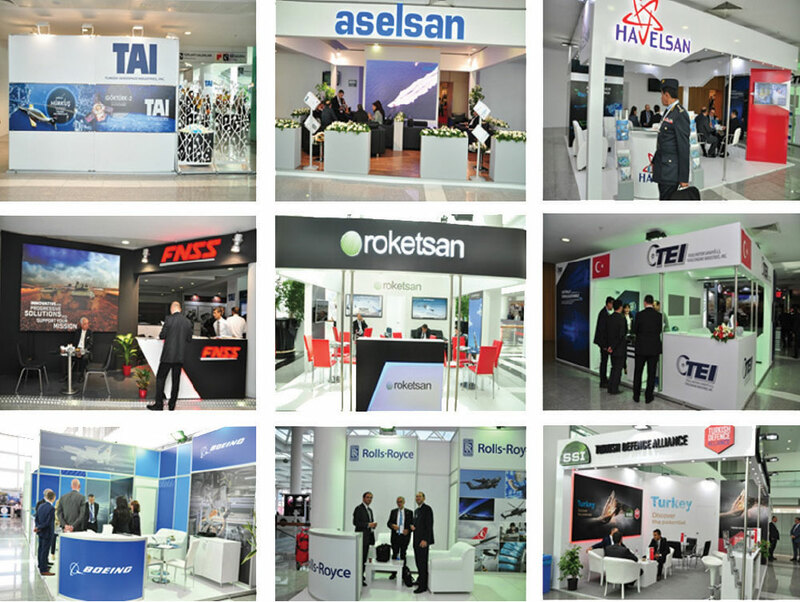 Thanks to ICDDA, we as Küçükpazarlı Aviation had the opportunity to meet with many companies. We are currently doing business with most of them. Today we are in direct contact with Triumph and Bell helicopter companies. Our efforts to increase our business packages are still ongoing. As you all know, if you are performing in the aviation field, it is not possible to do business in a very short time. The ICDDA event has given us the opportunity to get in contact with the companies very easily which are really hard to reach. We would like to thank all our colleagues who contributed to this organization on behalf of our company.